Make sure you are using keywords in your profile’s bio. This will allow people to find you when they search for your services or expertise. No need to bombard your profile (and followers’ feeds) with posts constantly reminding everyone what your interests are. Just make sure these keywords are present on your profile. 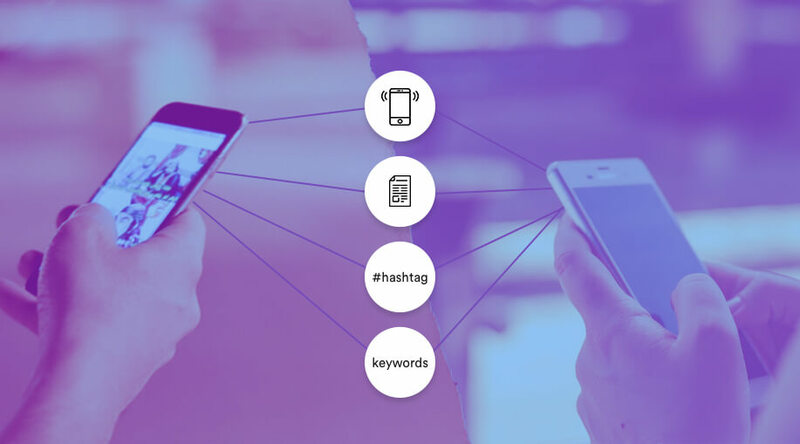 Some social media marketers suggest to avoid hashtags in your Twitter profile since this practice diminishes your SEO performance – as search engines cannot detect any content following a pound symbol (#). Though, OnSharp has a good point: hashtags in your Twitter profile allows people using Twitter Search to find you. It makes your profile visible and shows that you are part of the conversation linked to that particular hashtag. Your Twitter profile might lose some ranking on Google but it will gain much more activity on Twitter – where it matters most. To nobody’s surprise, mobile user’s share of social media usage is dominant and growing. Simply assuring that your content is tailored to mobile devices will give you a greater reach. Eye-catching posts and relevant profiles are a superb way to be mobile friendly. Also, using the proper ratios for optimal photo sizes on different social media platforms help with being mobile friendly. For instance, the optimal Instagram photo size is 1080px x 1080px, and Twitter’s optimal photo size is 1024px x 1024px. Social media apps are constantly updating. If it’s not a bug fix, it’s most likely a new and improved feature. It is essential that you don’t forget to keep updating your social media apps, as getting to understand the newest features will set you ahead of the game. When users will begin understanding these updates, you will be a pro at manipulating all their functions and, thus, have a competitive edge when it comes to using these new features. For example, Facebook updated their app by introducing Facebook Live. It allowed businesses to advertise more cost efficiently, and directly engage with customers in real time. According to Facebook’s Project Management Director, the live feature engages users to comment 10 times more than usual. Mark Zuckerberg was aware that the constant updates on social media have been continuously changing the way we communicate. In little to no time, his predictions became true. We have gone from text-based status updates to mostly video sharing in only a few years. If you post content that is compelling to your audience, they’re likely to share it and drive traffic to your pages. Assuring the blog posts you put up on Facebook have an intriguing title and captivating images will create reach. The same goes for posting attractive visuals on Instagram. Organic reach has everything to do with how engaging your content is. Be compelling and fans/followers will share your posts. As more people (and companies) are active on social media, there’s an overcrowding of posts – which ends up diminishing your organic reach. This is when assuring your content is curated comes into play. Remaining in line with your audience’s interests and understanding what they want to see will give you an edge over any viral cat meme. Increased visibility – due to higher engagement. Social media communities are evolving and people are sharing their common interests. Conversations are happening around hashtags. Using them will allow you to be part of those conversations. Though, make sure to use relevant hashtags, otherwise your reach will not be significant. For instance, if you post a picture on Instagram about a band, but hashtag the word #dog, people looking for dogs may click on it. This will increase your reach, but are these people looking at your picture potential customers? Probably not. Keep in mind: Hashtags are useful if used appropriately. By perfecting these tactics, you’ll start growing your organic reach and form bonds with your core audience. The more you engage, the more you’ll get to know your audience and that’s when you’ll be ready for paid reach.